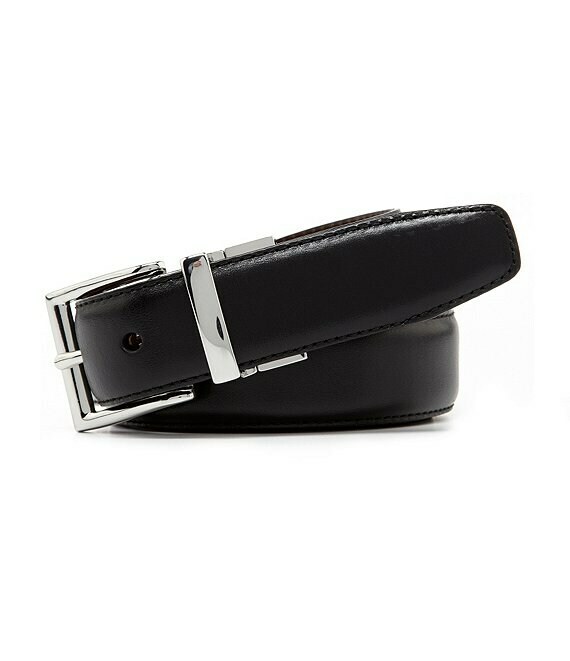 This reversible leather belt features a silvertone pull-and-twist buckle and keeper. 1 1/8" wide. Imported.